If you have our voucher you can check its status, expiration date and value by clicking in - vouchers. 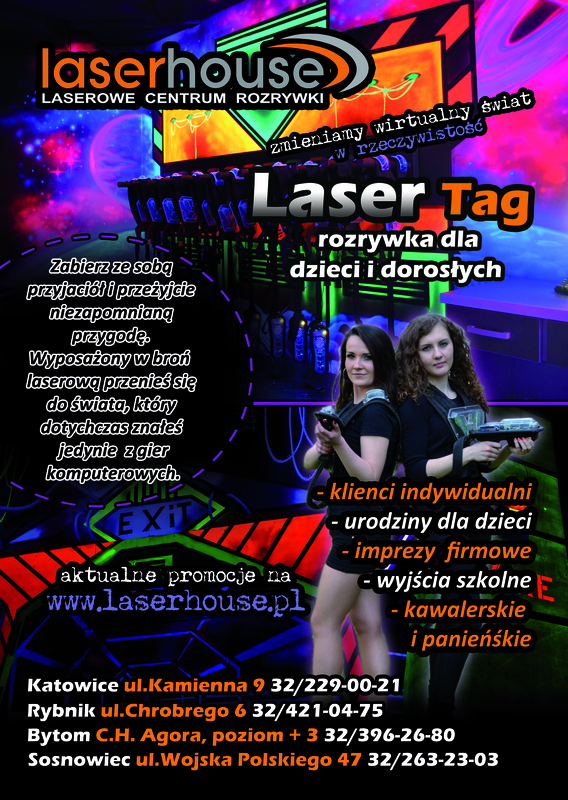 Laserhouse is an exciting place where you can enjoy playing Laser Tag. Invite your friends and join our virtual world. Over 400 sq. meters in Sosnowiec, Rybnik and Bytom and 600 sq. 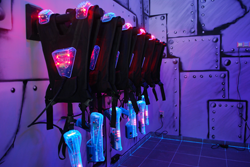 meters in Katowice of futuristic space is what we offer to you. Experience scenery known only from computer games becoming a reality. See our huge network of themed mazes, the pyramids of tires, chains, large steel drums; our metal constructions will make you feel like a computer game hero, in the world full of adventure and surprises. Special lighting, UV lamps, stroboscopes, fluorescent graffiti and of course a lot of smoke and amazing music, does it sound good? That is not all we have but not all can be described in words. Come in and join the game! Following prices are per 30 minutes game (20 minutes game + 10 minutes training) for one player, applies in our arenas in Katowice, Rybnik, Bytom and Sosnowiec.